Programs on the Irvine Ranch Natural Landmarks are provided by multiple landowners and the organizations in partnership with them. 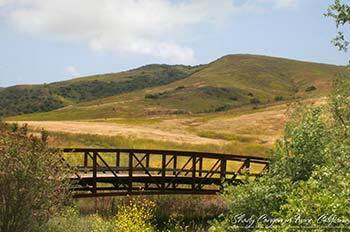 Visitors to the Landmarks can sign up for available programs on LetsGoOutside.org, which is managed by Irvine Ranch Conservancy. All activities on LetsGoOutside.org include detailed program descriptions, and the ability to sign up online or additional information on whom to contact for further registration. For questions about any activity with the “Led by IRC-Certified Volunteers” logo, email info@irconservancy.org. For questions about programs led by additional partner organizations, please refer to the detailed contact information provided within the activity description, or see contact information for landowners and partners listed below. If no contact information is listed within an activity description, contact info@irconservancy.org for assistance. Please note that this inbox is monitored regular business hours Monday through Friday, and is not checked Saturdays, Sundays or holidays. These entities own land within the footprint of the Irvine Ranch Natural Landmarks, an area of nearly 40,000 acres that is designated as both a state and national natural landmark. The 26-facility county parks system includes the Irvine Ranch Open Space, comprising Limestone Canyon, Weir Canyon and Fremont Canyon nature preserves, as well as Black Star Canyon Wilderness Park. The Irvine Open Space Preserve consists of Quail Hill and Bommer Canyon to the south, and Orchard Hills to the north of the city. 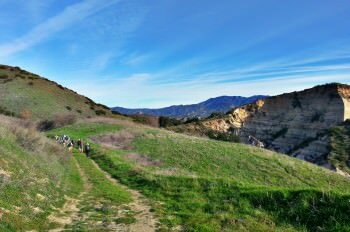 Quail Hill and Bommer Canyon are open daily, and all three locations have docent-led programs available. Buck Gully Reserve is a 300-acre wilderness area in the heart of Newport Beach. The city also owns Big Canyon, a preserve near Upper Newport Bay. Both locations are open daily, with regular docent-led programs in Buck Gully. The state operates the Back Bay Science Center at the Upper Newport Bay Ecological Reserve, open for scheduled programs only. A CDFW Lands Pass is required for visiting the reserve property for recreational purposes. Crystal Cove State Park has 3.2 miles of beach and 2,400 acres of undeveloped woodland with trails for hiking, biking and horseback riding. These organizations lead programs and engage in habitat restoration efforts within the Landmarks on behalf of the landowners. Irvine Ranch Conservancy is a non-profit, non-advocacy land-management partner for organizations including OC Parks, City of Irvine and City of Newport Beach. The Conservancy leads both stewardship and recreational activities across the Irvine Ranch Natural Landmarks, and manages the LetsGoOutside.org website. For any general questions, issues with the website, or registration questions, contact info@irconservancy.org. 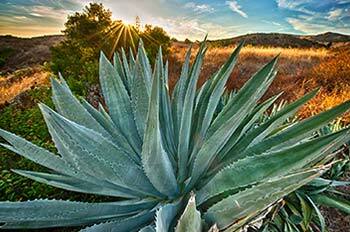 Learn more about the partners of the Irvine Ranch Natural Landmarks.